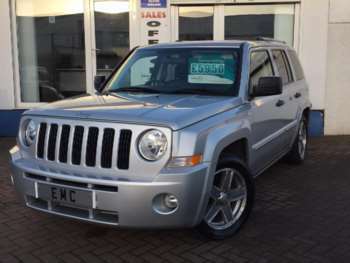 Launched in 2007 alongside the Compass the Patriot has a more slab-sided conventional 4x4 appearance than its rather softer styled sister car. It's unmistakably a Jeep with styling cues taken from the older Cherokee. 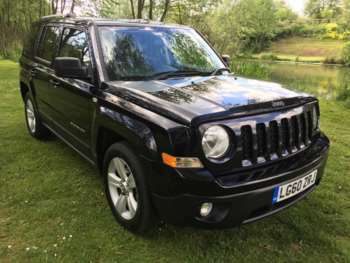 The Jeep Patriot was criticised in the press at launch for the poor quality of its interior and this led to a rapid upgrade in 2008 with a smoother look to the instrument panel and redesigned centre console and door panels. Engines are the same as the Compass with a 2.4 petrol mated to a five-speed manual or CVT auto and a 2.0-litre, six-speed VW diesel. In 2011 the model got a facelift, improved trim and the Mercedes 2.2-litre diesel engine. Unlike the Compass all Patriots are four-wheel drive with Jeep's Freedom Drive 1 system that drives the front wheels most of the time and transfers power to the back only as needed. Trim levels are Sport and Limited in early cars with the 2011 facelift adding Sport+ trim in between and Overland at the top end. All Patriot's have a good spec list including front and curtain airbags, 17-inch alloy wheels, air con, electric windows, adjustable steering column, ABS, stability control and roll mitigation. Limited versions get leather trim plus an infotainment system including six-CD audio, MP3 compatibility and Bluetooth. The 2011 Patriot facelift brings hill start assist and leather handbrake and steering wheel to Sport models. The Limited gets a power operated driver's seat. 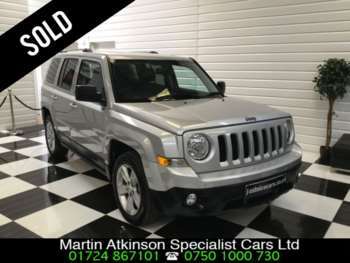 Buy the top of the range Overland and you get 18-inch alloys, classier leather seats, rear park assist, tyre pressure monitoring and chrome scuff plates on the sills. Either diesel version should return around 42mpg but the newer 2.2 has lower emissions so you'll pay less VED. Petrol versions will only return low 30s mpg. 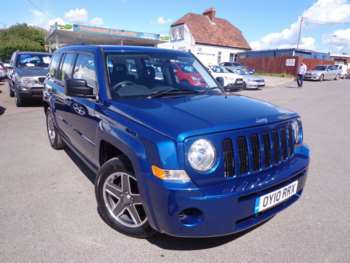 A 57 plate used Jeep Patriot CRD Sport will sell for around £7,000, a Limited will be a few hundred more. 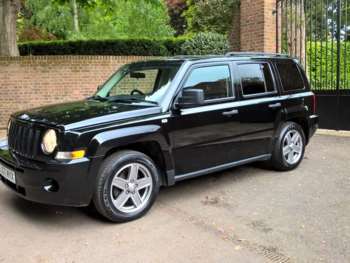 A 2.5 petrol manual on an 09 will be about £8,000. A post facelift 11 plate 2.2 CRD Sport will be around £12,600. Insurance is group 10 or 11 so shouldn't break the bank. These are pretty tough cars mechanically with well-proven engines and few major problems. Most Patriot models won't have done proper off-roading but as with any used 4x4 check the underside for damage. The wheels are prone to scratching so damage there may be a warning sign of serious off-road use. Jeep parts can be a bit expensive, a clutch assembly will be about £300 and alternator around £250, a full exhaust will be about £500. Consumables like filters shouldn't be too bad as the engines are sourced from elsewhere. 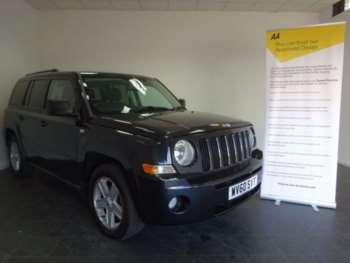 The Jeep Patriot for sale is a fairly compact car and is lighter than some rivals so it turns in decent performance. The 2.0 diesel will do the 0-62 sprint in 11 seconds and top out at 117 mph. The 2.4 petrol accelerates fractionally quicker (10.7) but can only manage 112. The diesel gives you more mid-range pulling power but can feel a bit sluggish at low speed when it's off boost. Body roll is well controlled and the full-time 4x4 system gives plenty of grip so it inspires confidence on the road. Pull up a small chrome handle beneath the handbrake and you can lock the front/rear power split for difficult conditions. It's a much more capable off-roader than its size and styling might suggest and has much more ability than most owners will ever need. 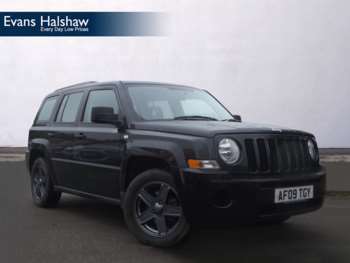 Inside the used Jeep Patriot is nicely finished – if you avoid the very earliest cars – and well equipped. The front seats have plenty of adjustment so it's comfortable on long journeys and there's plenty of luggage space. You can fold the front passenger seat flat to help with carrying long loads. In a marketplace where there are plenty of 4x4s that offer you the looks without the capability, the Patriot is the real thing. 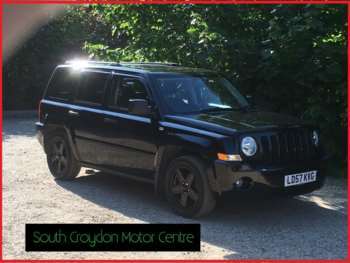 It looks rugged and Jeep's clever permanent four-wheel drive system means you'll have to work hard to get it into serious trouble. Add the fact that it's a decent drive on the road too and is well equipped then the Patriot makes a strong case for itself. 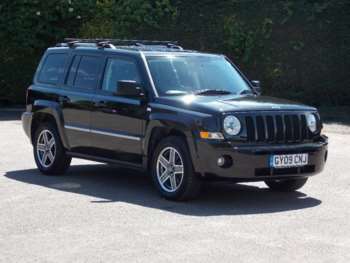 Got a specific Jeep Patriot model in mind?